Last month, my wife and I went looking for narrow-gauge railroads in Clare County. Well, narrow-gauge railroad beds, to be honest since the tracks and trains are long gone and have been for more than a century. Clare county is a quiet county of some 32,000 residents in central Michigan. But it wasn’t always so. 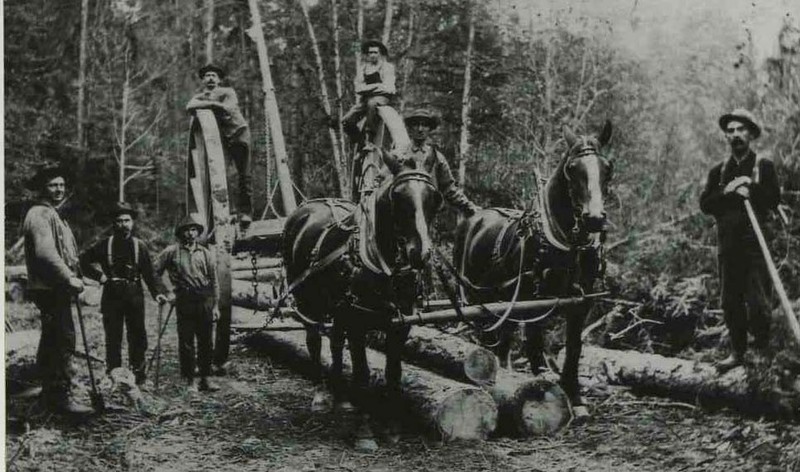 At one time, the ground shook with the fall of giant pines and the woods echoed with shouts of lumberjacks and the sound of trains hauling trees out of the woods to sawmills and then on to growing cities like Detroit and Chicago. 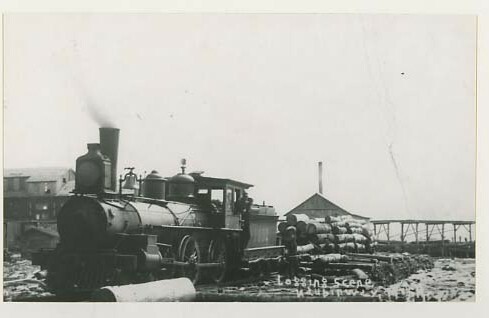 Narrow-gauge railroads were the transportation method of choice for hauling trees in many Michigan counties during that logging era. Those trains could run wherever workers laid track and carry heavy loads year around (something horses and carts couldn’t do). Narrow-gauge railroads had another advantage: The tracks could be pulled up and reused once the the valuable timber in an area was exhausted–something that eventually happened. Then the workers, trains and track moved on leaving a barren landscape behind that slowly healed and the forests regrew. Finding those former railroad beds now is a challenge since many of them lie deep in the woods with dense foliage around and on top of them. What makes them noticeable is the fact that beds are often raised up above the surface of the surrounding land since workers had to make sure the ground on which the train tracks would be laid was somewhat flat. In addition, hunters and hikers often have used them over the years to access the back country establishing trails or two-track roads. It’s cool to find them and walk them. Sometimes one even finds coal. I’m hoping to someday find a rail spike, although that’s unlikely. Most were taken to be reused and any that are left are buried under more than a century of soil and plants. Still, it’s a dream, kinda like the one in which I find some arrowheads and dinosaur bones (but not at the same time). Take a trip to Clare County sometime and join in the search. Late winter and spring are great times since the foliage hasn’t grown up and the mosquitoes aren’t yet looking to dine on man and beast. But the country is pretty anytime of year. See you on the trails, er railroad beds.